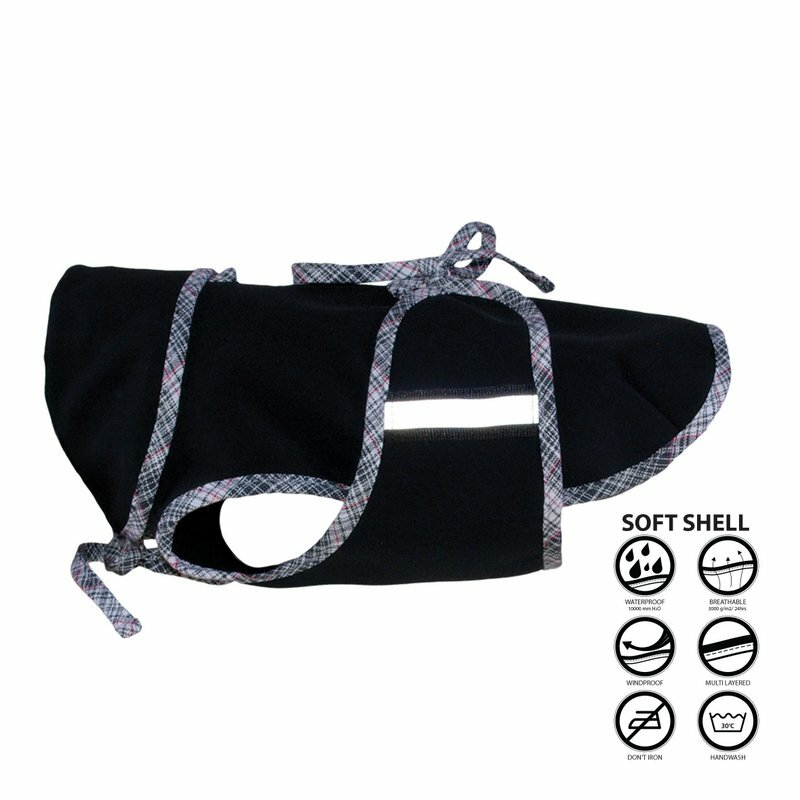 The most comfortable piece of clothing, easy and very fast to put on trough the head. 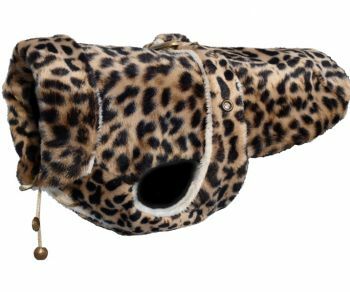 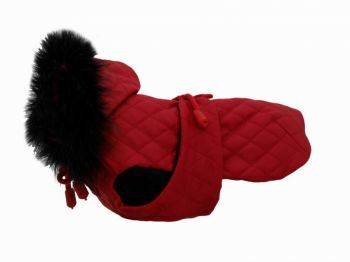 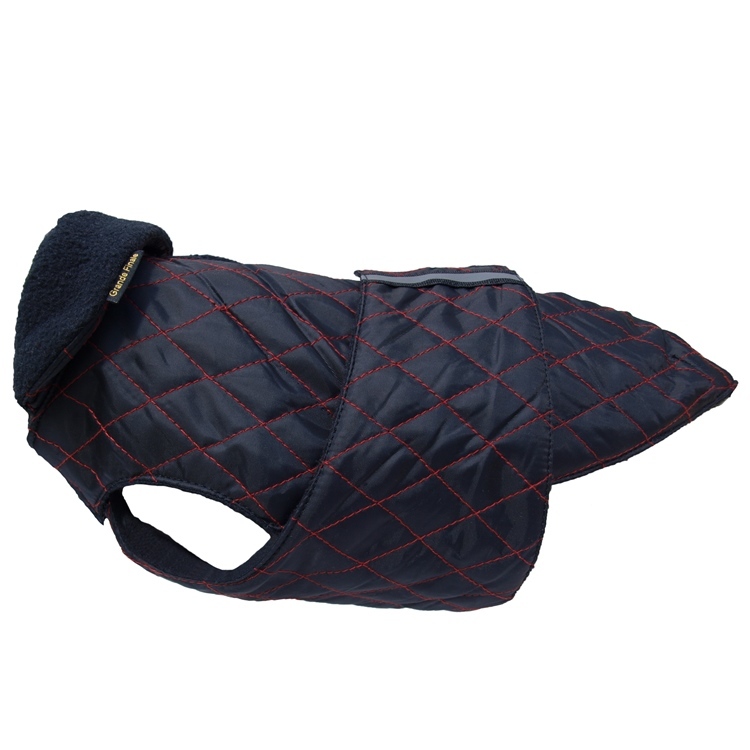 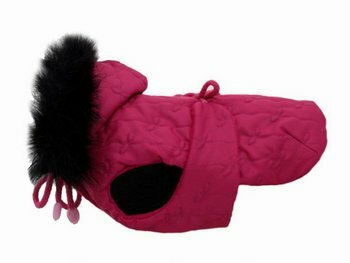 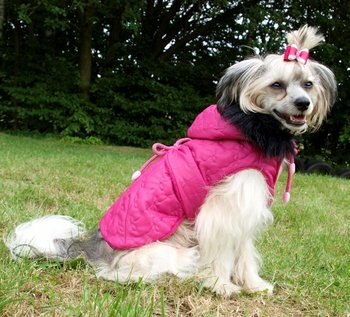 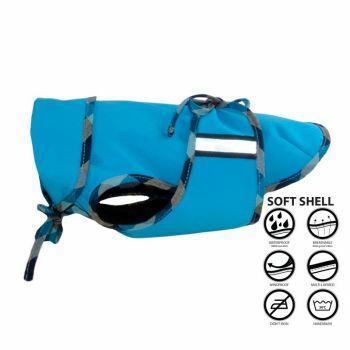 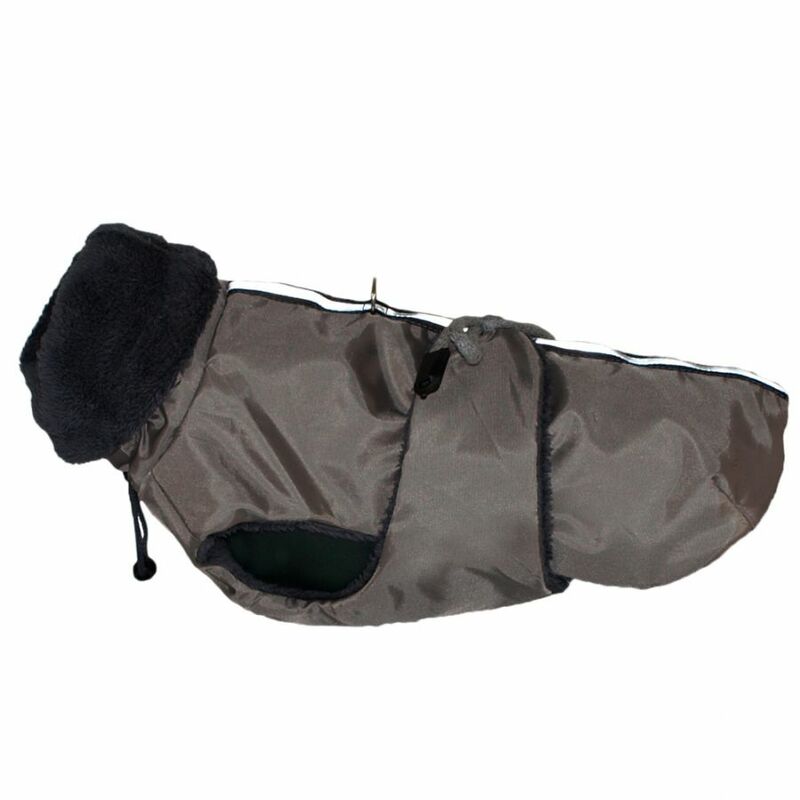 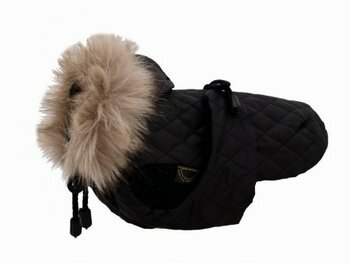 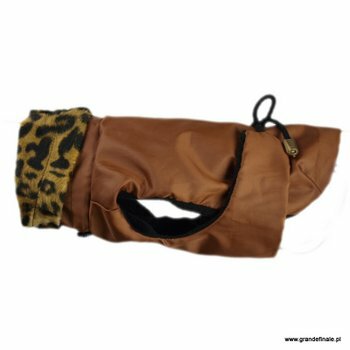 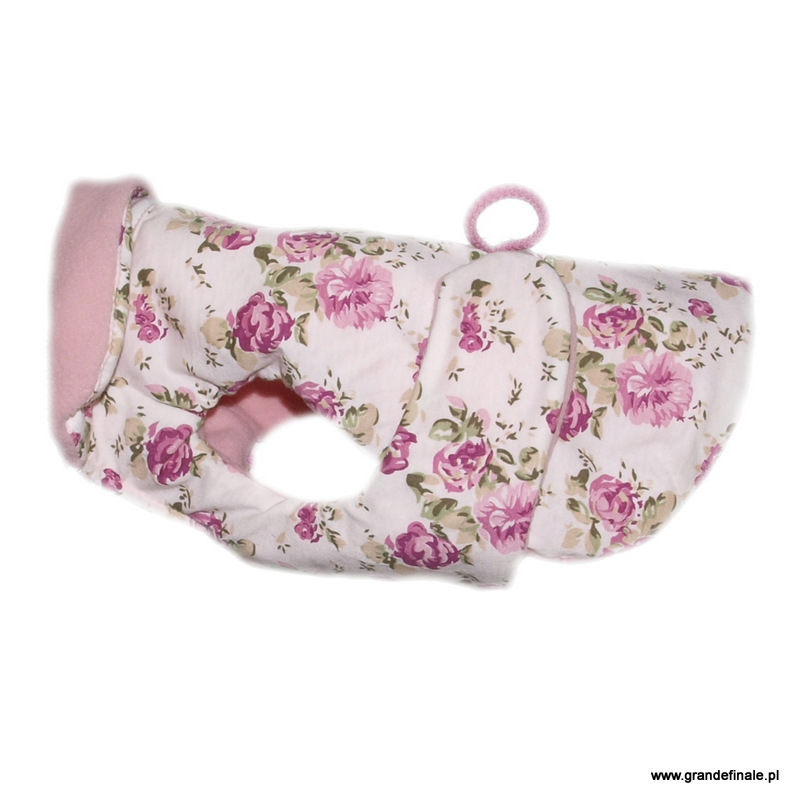 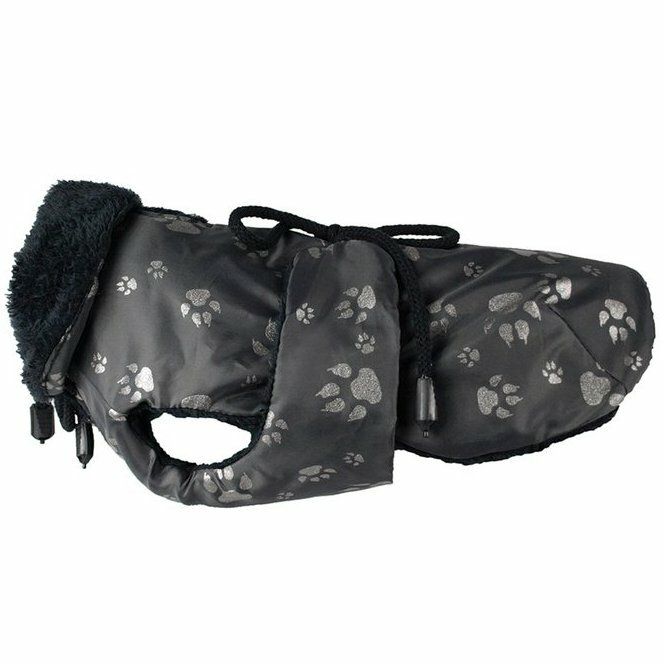 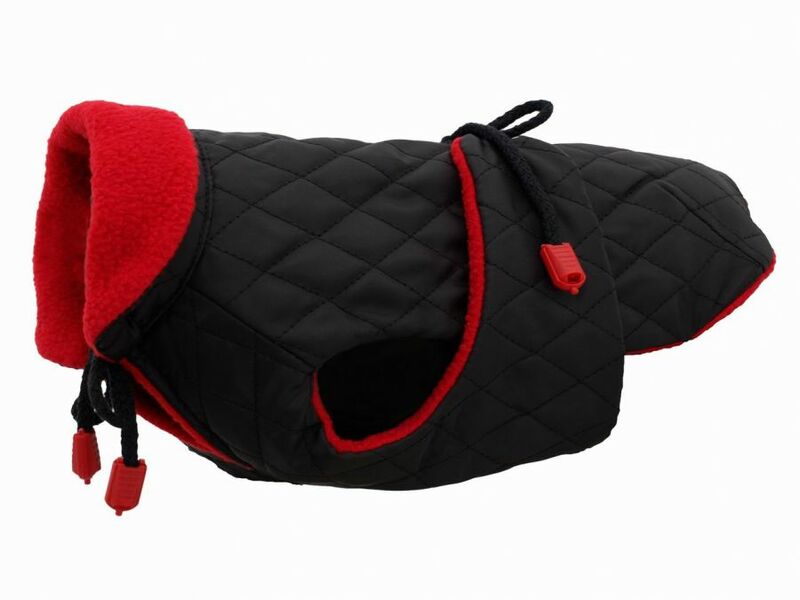 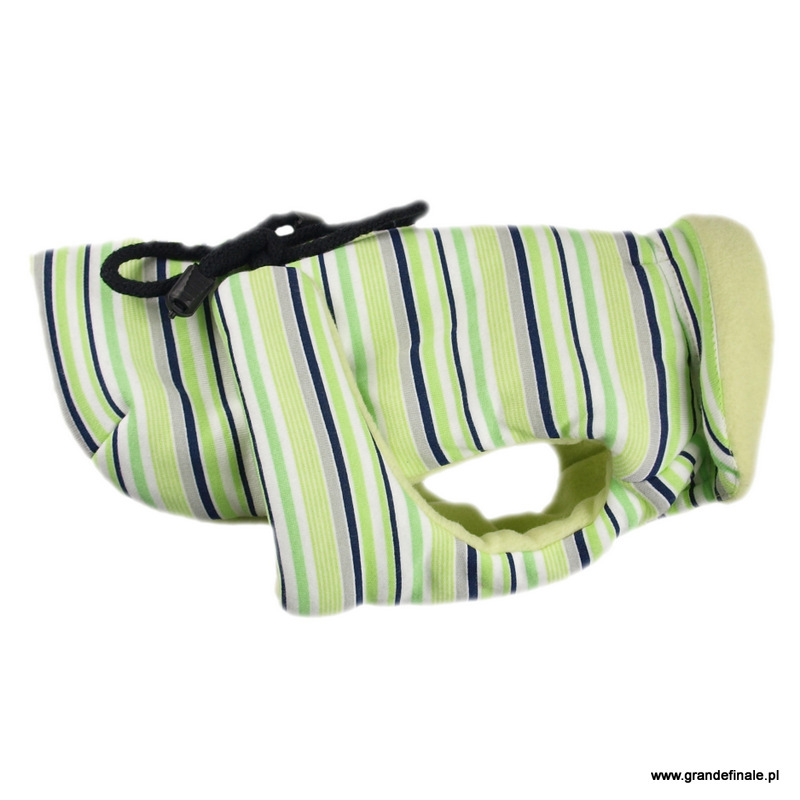 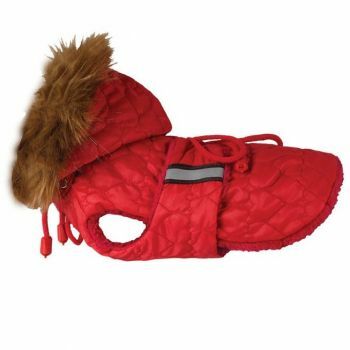 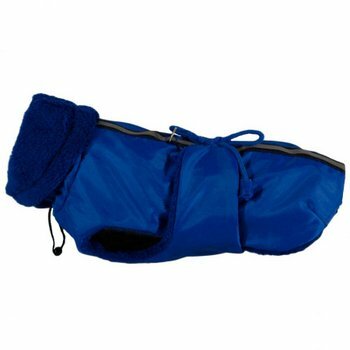 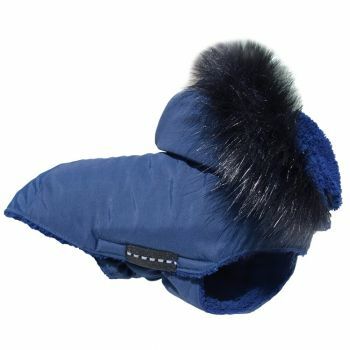 It covers body and chest area of a dog protecting it from the cold. 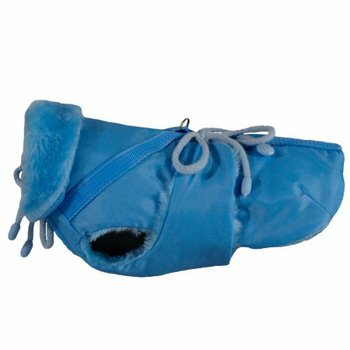 Soft elastics placed under the back legs. 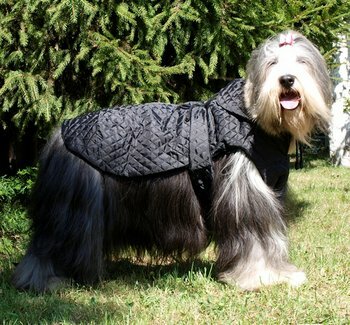 Coat fastened under the neck.